How is the Las Vegas Housing Market Doing? 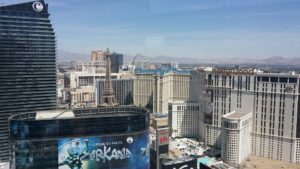 What are the Top Selling High Rise Buildings in Las Vegas? What Were the Most Expensive Deals Sealed in Las Vegas Last Month? Which Las Vegas High Rise Offers the Highest Price Per Square Foot? It is not surprising that just like thousands of others out there, you also dream of owning a high-rise property in Las Vegas. This city offers the best of both worlds, with a vibrant nightlife and a wealth of attractions to die for. No wonder, the most recent housing market report for the city reveals that there is still a growing interest in properties in the area, particularly Las Vegas high rises. 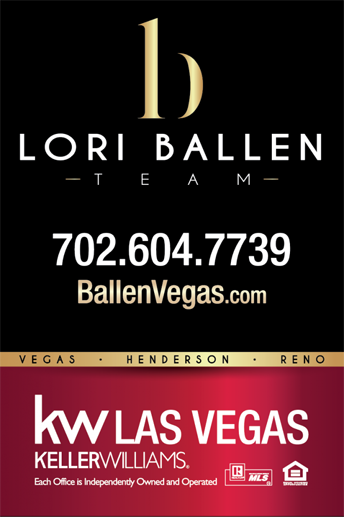 If you have already found the home of your dreams in Las Vegas, go get it! Real estate properties in Las Vegas sell like hotcakes despite the consistent rise in prices, and it looks like this trend is not going to change anytime soon. Recently, the Greater Las Vegas Association of REALTORS® reported that while the median price for existing single-family homes sold in Southern Nevada through its Multiple Listing Service (MLS) during the month of November was $295,000, the median price of local high-rise condos and townhomes sold during the same month was $164,000. That’s a good 16.5 percent rise from the same time last year! What is more shocking is that despite this steady increase in local home prices since 2012, the prices of Las Vegas high-rises have not even reached their all-time peak. That means you almost can’t afford to wait for next year before you buy your dream home in the city! As of the end of November, there were about 1,605 condos and townhomes listed without offers in Las Vegas. You may want to start your search with these properties because that means you are less likely to find yourself fighting over the same property with another buyer. With less competition, you are also more likely to find a good property at a cheaper price. To give you an idea of how fast properties sell in Las Vegas, the November Las Vegas Housing Market Report suggests that around 85.3 percent of all existing local high-rise condos in the city had been successfully sold within 60 days last month. While that’s a slight drop from the 88.5 percent of last year, that is still way too fast, right? Imagine selling 2,857 properties in Las Vegas within just 30 days! Now let’s talk about the total sales volumes for Las Vegas properties last month. 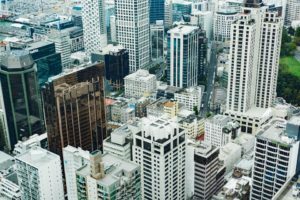 According to the report, while the total sales volumes for homes were down by 3.3 percent in November, the total sales volumes for high rises and townhomes were up by 3.2 percent. The strong interest in Las Vegas high rises only shows how more and more individuals and families are now choosing to live in a condo or high-rise apartment than a single-family home. According to the recent housing market report, the top-selling high-rise buildings in Las Vegas are Turnberry Towers and ONE Las Vegas. Both high rises tied for first place last month with 7 condos sold. Prices of Las Vegas high-rise condos in Turnberry Towers currently range from $260,000 to $620,000, while condos in ONE Las Vegas range from $295,000 to $504,900. Palms Place and MGM Signature were also a tie at third place, with 5 condos sold last month. Prices at Palms currently run from $230,000 to $500,000, while prices at MGM range from $220,000 to $450,000. Despite the slight drop in sales volume last November, 4 condos priced above $1 million were still able to find their way to their new owners. Of all those properties, the top price paid was at ONE Queensridge Residence 1603 in Tower 1, which was listed for $3,499,000 but was sold for $3,167,500 after 105 days of being on the market. If you are looking for a high-rise property that offers amazing mountain views, get a home at ONE Queensridge Residence. The top-priced property at this Las Vegas high rise last month boasted 3 bedrooms, 4 baths and fascinating strip and mountain views. Now if you can’t afford units at ONE Queensridge, you can go for The Waldorf Astoria, which got the second and third most expensive deals for the month of November. Residence #23506 was listed for $2.395M and sold for $2.05M, while unit 2507 was listed for $1.66M and sold for $1.6M. 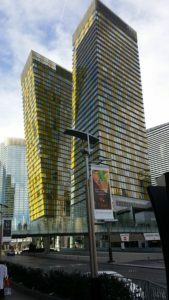 Another good choice for a Las Vegas high rise is Veer Towers East, which is also at the CityCenter. Last month, this building was the fourth to get the most expensive deal when its Residence #3208 was listed for $1.295M and was sold for $1.1M. ONE Queensridge may have gotten the most expensive deal in November, but it is currently not the most expensive high rise per square foot in Las Vegas. Condos at CityCenter like Waldorf Astoria’s Residence #3506 was sold last month for $1,224/sf, while Residence #2507 was sold for $1,011/sf. Veer Towers 3208 came in third, with its Residence #3208 closing at $656/sf in November. The top priced condo sold last month, ONE Queensridge, only came in fourth in terms of price per square foot, with Residence #1603 closing at only $638/sf. Despite ONE Queensridge’s relatively lower price per square foot, it is still known as the top Las Vegas high rise because of its strategic CityCenter location and world-class design and amenities.